When a customer attempts to leave a request through a web site supported by DiamanteDesk, the system redirects the user to a request module at http://example.com/web/app.php/portal/. 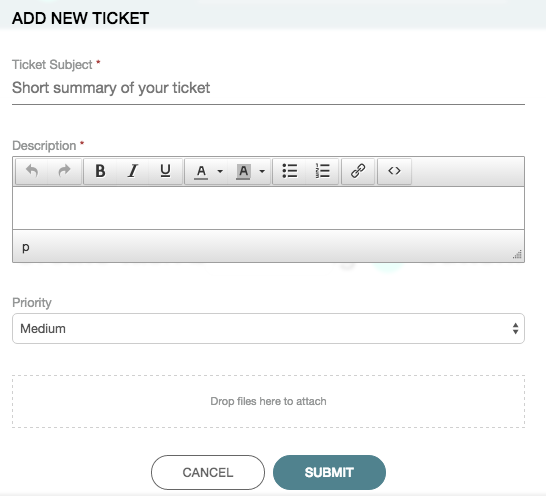 In order to create a ticket the user should either log in or register in case it is a first request. 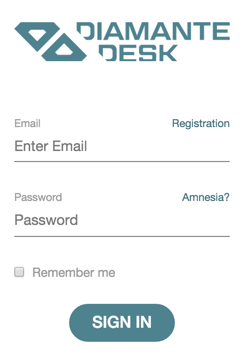 Provide your first name, last name, email and password in corresponding fields. Note: Required fields are marked with asterisk (*). Check your email box and follow a link there to confirm your registration. The system redirects you to the Sign In screen. Click the Plus button at the right corner of the screen. Add New Ticket screen opens. On the System Configuration panel click DiamanteDesk to expose the available options and choose Channels. The Channels screen opens. 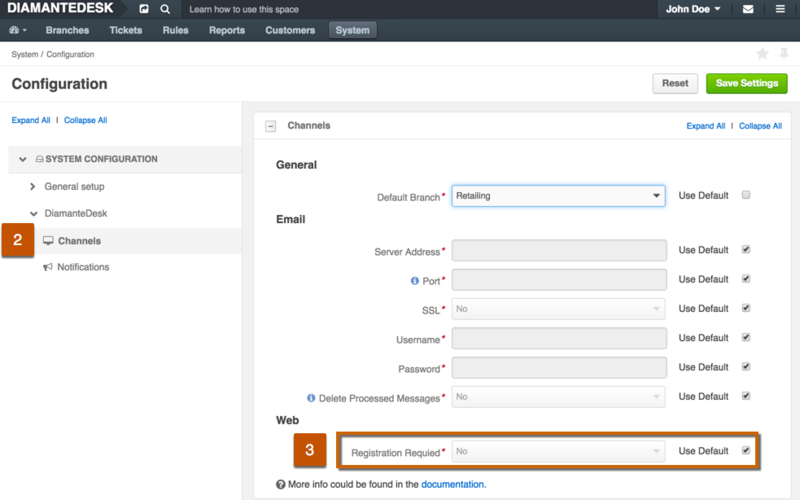 Define whether a user shall complete the registration process before creating a new ticket in the Web section. To save the changes made, click Save Settings at the top right corner of the screen.